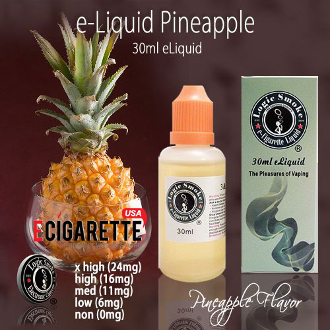 Our Pineapple liquid nicotine from Logic Smoke is a wonderful, natural pineapple flavor. You'll love the sweet, tangy flavor of this tasty e-liquid. Every time you inhale you'll be transported to a tropical island. Pick up a bottle of Logic Smoke Pineapple E-Liquid and take a mental vacation.